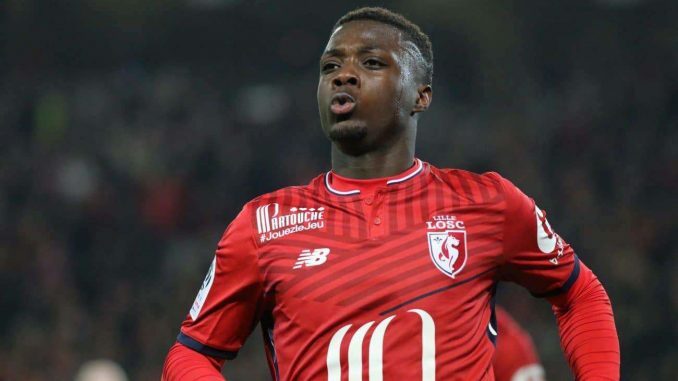 Arsenal are leading the chase for Nicolas Pepe, with Lille willing to negotiate if a club offers €50m (£44.9m), according to reports in France. L’Equipe reported on Monday morning that Lille will be open to negotiations in the winter window as long as a club is willing to meet their valuation, despite previous insistence that they wouldn’t sell mid-season. France-based football writer Matt Spiro adds that Arsenal are ‘leading the chase’ as it stands, but they’re set to have competition. Be the first to comment on "First Winter Signing: Arsenal boss secure deal for £45million-valued world-class attacker"